Hey GeekGirl Gang! Ever wanted to know what a graphic pen & tablet or WACOM tablet was? Wanna know how you can replace your mouse forever in an ergonomic and way cooler way? Check out this video to find out! Hope you liked it! Email or Tweet at me with any questions or comments or post below! And here's a link to all those case studies I promised you: CASE STUDIES. I'm working on the next podcast RIGHT NOW and I need your help! 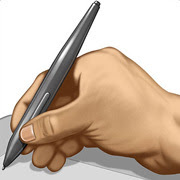 Anyone out there use a Wacom or other graphic pen/tablet instead of a mouse? If so, I want to know what you use it for! Do you like it? Prefer a mouse? I want to hear about that too! Have no idea what I'm talking about? I want to hear what you've heard about graphic pens & your thoughts in general. & to all of the above: stay tuned! LOL. Tweet @ me via my Twitter feed OR email me at geek.girl@earthlink.net RIGHT NOW so that I can include your thoughts in the podcast! WE HAVE LIFT-OFF! 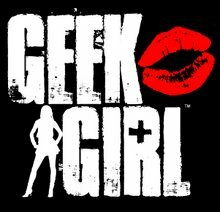 Roddenberry.com Official GeekGirl Channel! 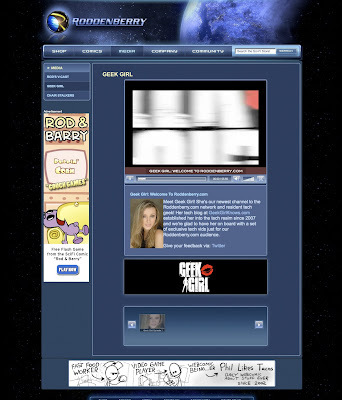 So, after a long period of anticipation and some technical snafoos, GeekGirl's channel on the incredible SciFi website Roddenberry.com is officially live! Click HERE to go to their homepage and click on the screen grab below to go to MY official channel there! web design and programming is never easy, even for the simplest of projects, and I'm so happy that the fine folks at Roddenberry.com created such a slick and cool channel for me! The videos you will see there will be exclusive to Roddenberry.com and some will be videos you can also see here, so make sure you check both places! The actual 1st episode (which you guys saw part of in my episode 10.1) will be up on June 28th and then every other week from that point on there will be a brand spanking-new episode up for your viewing pleasure! And keep checking here for new blogs about all things tech-related (oh, and the resolution to my Time Warner vs. High Def TiVo battle! Yes, it's FINALLY over and I have TV now!). OH, and 1 last thing...we are going to have our very first official GeekGirl TweetTalk session where I give you a time where I will be live on Twitter and you can ask me questions about tech things you want to know about and get LIVE answers from me! Stay tuned for the Call to Action on that coming up very, very soon!